As criminal defense attorneys and civil attorneys encountered law-enforcement examiners, the need for qualified civilian forensic computer examiners grew. Currently, there’s a huge demand for certified, qualified forensic computer examiners. Some trained examiners have started their own businesses, some work for large companies, such as Deloitte and Touche, and others work for law-enforcement agencies. This comprehensive online course prepares you for a career in this emerging field. You’ll learn not only to thoroughly examine digital media, but also to clearly document, control, prepare, and present examination results that will stand up in a court of law. You’ll be able to identify where and how data is stored and how to recover and interpret data and draw appropriate conclusions based on the data. Education on the ethics of computer forensics is also included. This course is hands-on and emphasizes learning by doing. The primary certification for civilian forensic computer examiners is the Certified Computer Examiner (CCE) certification. The Forensic Computer Examiner Online Training course is an authorized ISFCE (International Society of Forensic Computer Examiners) training course that will thoroughly prepare you to take the CCE certification exam. B. What makes a good computer forensic examiner? PC: Windows XP or later and BIOS . To enroll in this course, you’ll need to have basic computer skills, including the ability to work outside the Windows GUI interface. This is because forensic examiners often need data that can’t easily be accessed from within Windows. Being comfortable working within the DOS environment will be very helpful in this field. A good measure of your readiness for this program is knowing that you can successfully complete the A+ certification through CompTIA. Note that the certification is by no means a prerequisite. However, the basic knowledge needed for success in this program typically requires that you have the A+ level of experience. 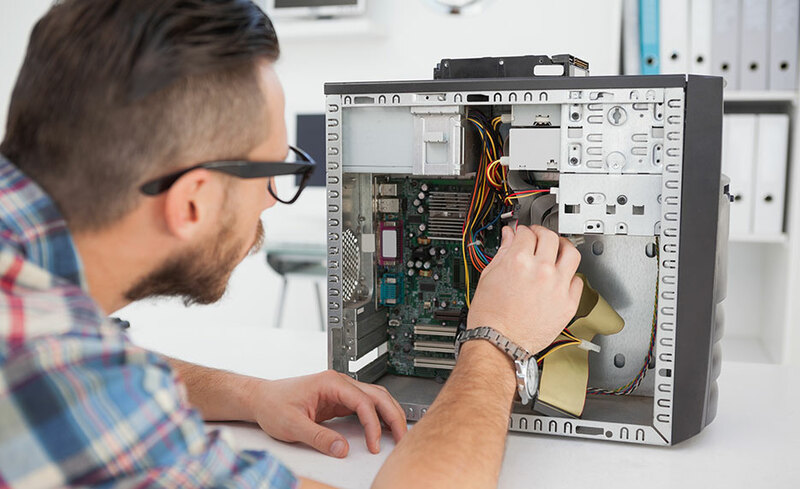 A forensic computer examiner will be required to work with the hardware of a computer on many occasions, so you’ll need to have the ability or desire to remove and replace hard-disk drives from computers and change jumper settings. These topics are briefly covered within our program, but you should have these skills prior to enrolling. To work in this field, you must not have a criminal record. This includes any felony conviction where the individual could have received a sentence of one or more years of imprisonment. This also includes any criminal history of sexually related offenses, as many digital examinations include these topics, and an examiner with this type of history could be easily discredited. Note: If you plan to pursue the Certified Computer Examiner (CCE) credential, you must have attended a program through an ISFCE Authorized Training Center (such as this one), have documented experience in forensic computer examinations, OR be able to produce a well-documented self-study. Bill Long is a retired law enforcement supervisor with the Oklahoma Office of the Inspector General. He is a CFCE and is owner and president of William J. Long & Associates LLC, a firm specializing in computer forensic examinations and data recovery. John Fretts, in 2004, retired as a Senior Special Agent from the Bureau of Alcohol, Tobacco, Firearms and Explosives after 30 years. In addition to conducting firearms and explosives investigations he specialized in computer forensic investigations. John currently serves as Director of Investigations for a private firm in New England. William D. "Bill" Taylor is a retired Computer Investigative Specialist/ Special Agent with the US Treasury Inspector General for Tax Administration in Nashville, Tennessee. He holds both Baccalaureate and Master's Degrees in Criminal Justice and a Associates Degree in Forensic Computer Science. He is also a graduate of the 152nd Session of the FBI National Academy. Bill had over 35 years of investigative law enforcement experience when he retired. Clifford "Cliff" Ellston retired in 2013 as a Senior Special Agent from the Bureau of Alcohol, Tobacco, Firearms and Explosives after 35 years of service. In addition to conducting firearms and explosives investigations he specialized in computer forensic investigations. Cliff currently serves as a compliance officer for a local retail corporation. He also assists local police in their effort to handle and examine electronic media evidence. All of our programs are self-paced and open-enrollment. You can start and finish the program at your own pace. Upon registering, you're given twelve months to complete this program. Upon successful completion of the program, you will be awarded a certificate of completion. You will also become eligible to sit for the CCE Certification testing through the ISFCE. Note: You will need to list this training while submitting your application for the Certification. “My facilitator Bill Taylor was first rate. He is a true subject matter expert with excellent customer service skills. He went above and beyond the call of duty to help resolve technical issues and answer all questions in a timely manner.